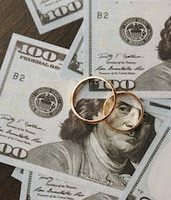 What Are the Most Important Financial Mistakes to Avoid During Divorce? Avoid buying major items, such as a new car or home. While this item may have been affordable before, you will likely have new bills and other expenses to cover post-divorce. Be careful about cashing in on investments and other assets in order to pay bills. You may end up with unforeseen tax consequences as a result. In addition, given that those assets will no longer be invested, they may steer you off-track in terms of the various long-term financial goals you and your attorney mapped out. This also applies to your 401(k)—if you cash in on any funds that have not yet been taxed, you could not only get hit with a large tax bill, but you could face the IRS penalty on everything that is withdrawn before you reach the age of 59 ½. Keep in mind that if you are receiving some portion of your ex’s retirement accounts via a qualified domestic relations order (QDRO), you can place it into your own IRA account and avoid paying taxes on it. Remember that it isn’t just a one-time tax penalty, cashing in on these funds can place you in a higher tax bracket, which can also have additional consequences (such as increasing your student loan payments if you are on income-based repayment). As we’ve discussed before, the tax benefits of paying alimony have effectively now disappeared. This applies to any and all divorces that are finalized after December 31, 2018. However, this doesn’t mean you should do anything drastic: while you may wonder who would do this, in fact, some people do contemplate quitting their job just to avoid paying alimony and/or not having a financial plan whatsoever in place once they are divorced. It is very easy to succumb to certain types of behavior during this time; however, you don’t want to make financial mistakes that are going to have a lifelong impact. Just make sure that any major decisions have first been vetted with your attorney and/or financial planner. Make sure that – when it comes to the family home – you have considered all of your options and aren’t necessarily making your decision for emotional – yet impractical – reasons. In some circumstances, it may actually make sense for you to remain in the home; just make sure that you have thoroughly vetted the decision with your attorney first. Contact our Florida divorce attorneys at the Arwani Law Firm, PLLC today to find out how we can help provide you with the guidance you need during this time.